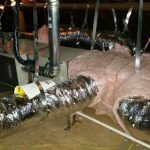 When you’re undertaking a remodeling or building project, ductwork installation is one of those things you may not think about until you need it. Room additions, in particular, can have an enormous impact on your ductwork and general heating and cooling. Even 100-200 square feet of addition climate-controlled space may require significant retrofits to your system of ductwork. That said, arming yourself with knowledge about the process will help your project go much more smoothly. Ductwork is used to distribute airflow from your heating or cooling system throughout your home. 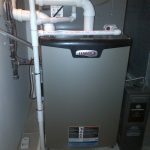 This involves the air being sucked from throughout the house into the heater/air conditioner, where it is heated or cooled, and pushed back through ducts into the living space. Both intake and output of air is critical to smooth-operating ductwork, not to mention heating, cooling, and indoor air quality. 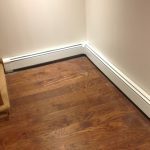 Without properly designed return vent(s), the air pressure and equilibrium of your heating and cooling systems will be off and your home’s efficiency and climate control will invariably suffer. 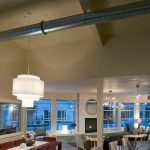 Traditional heating and cooling ductwork is, for the first time, seeing a serious challenger to its uninterrupted supremacy. 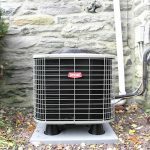 Split-system air conditioners and heat pumps use zoning strategies to increase energy-efficiency throughout the home, but they also do away with conventional ductwork. 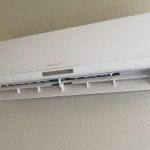 In fact, ductless air conditioning and ductless heat pumps are among the hottest catchphrases in the entire HVAC (heating, ventilating, and air conditioning) industry right now. 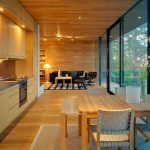 You’ll need to talk to a professional to determine if such a system is right for your home, but the potential upside is worth the research time. 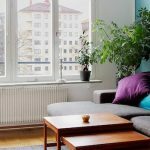 If you do decide to go with a ductless system, you may need to take additional steps to create adequate ventilation for your home. 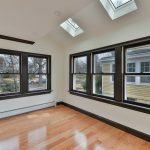 Enhanced ventilation is also an issue sometimes for homeowners who upgrade their insulation or install replacement windows. Usually, it’s an easy fix, but it’s something that needs to be looked at and evaluated by an HVAC professional. If ductwork is installed properly, it is an efficient means of keeping you comfortable and regulating the temperature in your home. But shoddy installation can cause problems. Aluminum tape is used to seal the seams between duct pieces, and insulation is used to separate the ductwork from areas such as attics or crawl spaces. 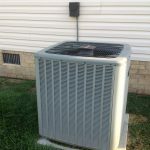 If either of these is not done properly, the result can be air leakage, meaning an inefficient system (which will cost you money), poor air quality, and even early failure of your heating/air conditioning equipment. Another consideration when installing ductwork is sizing. The size of your ductwork must match the size of your heater and/or air conditioner in order to ensure the most efficient operation. A ductwork installation professional will be able to match the duct system to the equipment you’re using for a solid fit. These professionals will also fine-tune your ductwork for optimal efficiency, comfort, and longevity: Balancing is a process where dampers located within the ducts are adjusted so that the right amount of air is flowing into each room. Need to find a pro for your ductwork installation? Get estimates. Don’t be afraid to get estimates from several competing companies. A good company will be willing to come out to your house to get a feel for your needs and identify any potential issues. A true professional will provide you with a heat-load calculation for your home and provide you with a written estimate. Know your options. A good contractor can calculate annual operating costs for each of your heating and cooling options. Knowing the cost and quality of each piece upfront will help you make a decision you’ll be happy with. Look for Value. Most good companies will offer extended financing plans as well as service agreements, including regular maintenance and inspections. A good ductwork installation professional may cost a little bit more, but will also offer more value for your dollar. Most importantly, remember that communication is key. 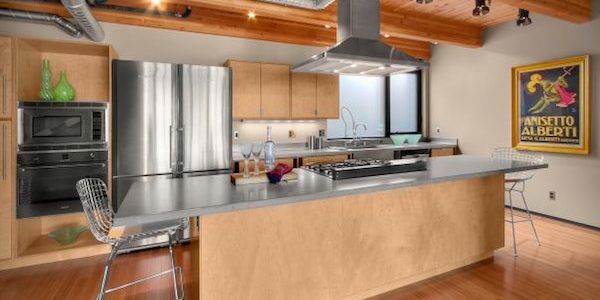 Now that you know the basics of residential ductwork, you can ask questions and speak intelligently with your contractor to be sure that you’re getting the system that’s right for you.